What happens when you chant and do mantras or practice Feng Shui, pray, meditate, visualize, and recite affirmations to no avail and get nothing but negative results along with some type of failure occurring in your life at the same time, and things just don't seem to go in your favor? When things like this happens there will be a tendency for you to get discouraged naturally of course, so when strange things happen out of the ordinary and things inexplicably fall apart constantly, and you feel confused and out of step, is it just circumstances of life or could it be something else like bad luck? The reason could be an unintentional act due to someones jealous nature towards you which prevents you from attaining prosperity and thwarts or cuts off your Buena Suerte (Good Luck), or it could also be a devious plot that was done with malicious intent against you. 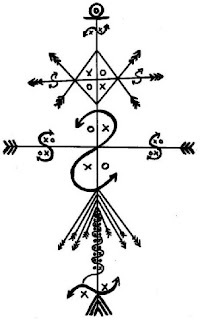 If you were a person that once had this good luck and then everything got turned upside down, then most likely you are a victim of a psychic attack, witchcraft, black magic spell, or an evil practitioner sent you a Muerto Oscuro (dark spirit) to destroy your life, happiness, money, job, and relationships. If this is truly the case, then the good news is that for every attack there is a counterattack or counter measure to eliminate the negative vibration that penetrated your Cuadro Espiritual (your protector spirits or sacred space) to bring you back into alignment with the forces of light and positive energy. First of all, certain plants can be utilized to keep the evil spirits away and wash away all the negative vibrations, but the first step is to acknowledge that your are being attacked and accept the fact that the problems were caused by a bad thought or just by someone giving you the evil eye, or plain old envy of the green eyed monster. There are several ways to strengthen your protection like a CONSECRATED OBJECT AGAINST EVIL AND NEGATIVITY, for example, but the best approach to this problem is seeking spiritual guidance and asking for help to find a remedy and cure to purify your energy and sacred space for things to return to normal and create positive circumstances for yourself and letting the good luck return and swing back in your favor again!